Frontier Communications Corp. announced that two Communications Workers of America locals representing 142 Frontier employees have ratified separate labor contracts with the company. The agreements were ratified by Local 2276, which represents Frontier employees in the Bluefield, Princeton and Welch areas, and Local 2001, which represents employees in the Bruceton Mills, Clay, Grantsville, Parsons, New Haven, Rupert, Wayne and Worthington areas. Frontier spokesman Dan Page said the contract with Local 2276 is retroactive to April 15, 2012, and expires on April 15, 2015. The contract with Local 2001 is retroactive to Aug. 1, 2011, and expires on Aug. 1, 2015, Page said. Each contract has wage increases of 2.5 percent in the first year, 2.5 percent in the second year, 2.0 percent in the third year and 2.5 in the fourth year, Page said. In addition, the first three years of each contract include 50-cent-per-hour wage increases. The contracts also contain modest annual cost-sharing increases and changes in health care benefits, Page said. Another contract between Frontier and the union covers more than 1,600 workers. It expires Aug. 3, 2013. Frontier also has a labor agreement with the International Brotherhood of Electrical Workers union. via Frontier says union contract ratified – Business – Charleston Daily Mail – West Virginia News and Sports –. Patriot Coal Corporation announced Monday that it has filed voluntary petitions for reorganization under Chapter 11 of the Bankruptcy Code in the Bankruptcy Court for the Southern District of New York, according to a news release from Patriot Coal Corporation. Patriot officials said it has taken this action in order to undertake a comprehensive financial restructuring and said it expects its mining operations and customer shipments to continue in the ordinary course throughout the reorganization process. Patriot has obtained a commitment for $802 million in debtor-in-possession financing from Citigroup Global Markets Inc., Barclays Bank PLC, and Merrill Lynch, Pierce, Fenner & Smith Incorporated as joint lead arrangers, according to the news release. The new financing and cash generated from Patriot’s ongoing operations will be used to support the business during the reorganization process, upon approval by the Bankruptcy Court, officials said. For more information, visit Patriot’s website at http://www.patriotcoal.com or call Patriot’s Restructuring Hotline at 877-600-6531. Court filings and other documents related to the reorganization proceedings are available on a separate website administered by Patriot’s claims agent, the Garden City Group, at http://www.PatriotCaseInfo.com. via Patriot Coal Corporation Files Chapter 11 Bankruptcy – WBOY.com: Clarksburg, Morgantown: News, Sports, Weather. 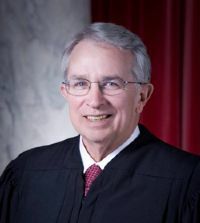 CHARLESTON – The West Virginia Supreme Court of Appeals, in a ruling Monday, said it “found no error” in a circuit court order dismissing a grievance by former state Archives and History Director Fred Armstrong. Armstrong served as director of the state archives for more than 20 years before being fired in 2007 by state Division of Culture and History Commissioner Randall Reid-Smith. Armstrong, who filed a grievance with the state’s Public Employees Grievance Board against the division the same day as his firing, alleged a dispute with his superiors, as well as a written reprimand, played a direct role in his termination. In his grievance, he argued his dismissal was improper under West Virginia law, and requested reinstatement to his position, an apology and “acknowledgment” for his past work. In February 2008, Administrative Law Judge Janis I. Reynolds denied a motion to dismiss by the division. The order effectively authorized the filing of an amended grievance by Armstrong. In June 2008, ALJ Denise Spatafore, who took over for Reynolds following her retirement, issued a 12-page order dismissing the amended grievance. Armstrong then filed an appeal in the Kanawha County Circuit Court. Judge Paul Zakaib issued a 43-page order on Dec. 22, 2010, affirming the dismissal order. On appeal before the state’s high court, Armstrong argues the lower court erred by affirming the board’s decision to dismiss his amended grievance without a hearing before the ALJ and that Spatafore had no authority to enter a dismissal order after Reynolds denied the division’s motion to dismiss. The holding of a hearing is a “discretionary decision” of an ALJ, the Court said. “Upon examination of the Rules of Practice and Procedure of the West Virginia Public Employees’ Grievance Board, we find that there is a procedure in place for the disposition of grievances without a hearing,” the justices explained in their per curiam opinion. As to Spatafore’s decision, the Court said it found “no clear error” in the circuit court’s ruling on the issue. “There is plainly no barrier to another administrative law judge ruling upon a different motion to dismiss, especially where that new motion is based on additional information developed through discovery of the petitioner and the Commissioner (Reid-Smith), as well as Secretary (Kay) Goodwin,” the justices wrote in their 15-page ruling. As for Armstrong’s argument that his firing violated public policy, the Court again sided with the lower court. “In its order, the circuit court found that the petitioner failed to allege what substantial public policy was violated by his termination. The petitioner stated nothing on the face of the amended grievance to articulate what substantial public policy was violated,” the justices wrote. “It is not enough to make conclusory statements about the violations. Justice Margaret Workman, who had disqualified herself from the case, did not participate in the Court’s decision. via W.Va. high court upholds archives director’s firing | West Virginia Record.